Meggie Frue: Beauty Thursday: Fave4hair Giveaway!!! Hello lovelies! I have a very exciting post for you today. 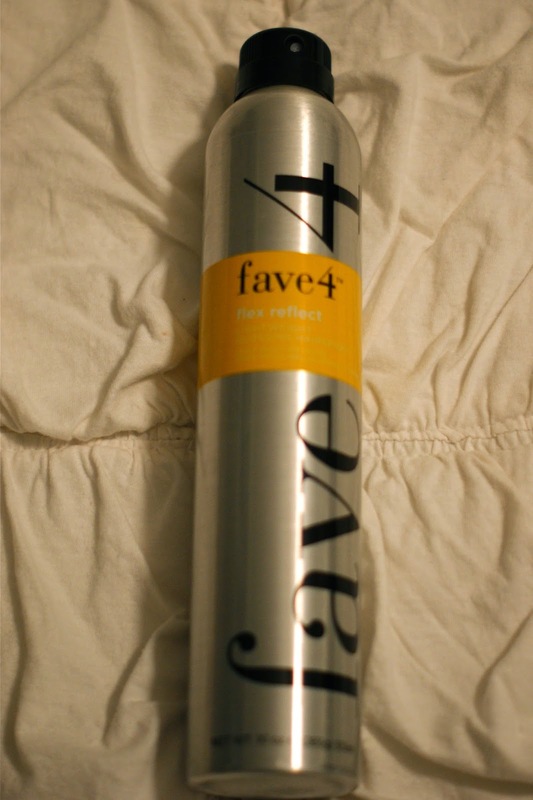 I am talking today about my new favorite hair styling product company, fave4hair. They are a Dallas based company that focuses on combining all the things professional hairstylists want into 4 staple products. 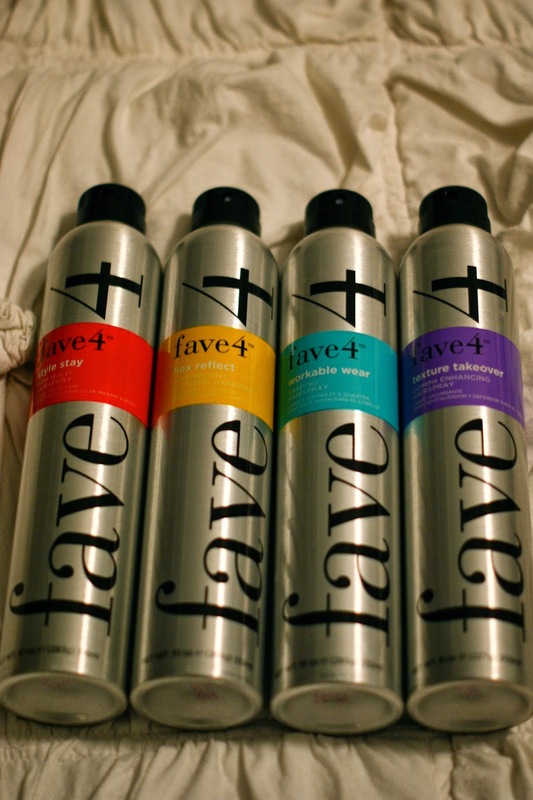 Although the four are different they all have one common goal, keeping your hair fresh and fabulous all day long. The fave4har line concentrates on leaving out the bad ingredients and adding in the good. It is packed with vitamin C, vitamin E, sunscreens, and humectants (they help lock moisture in your hair) and is free of glutens and parabens. I love the fact that I am keeping my hair healthy while styling it. I have never before had that in a dry shampoo or hairspray. Below is a review on each individual product, what kind of styles it is used for, and what it can do for your hair. 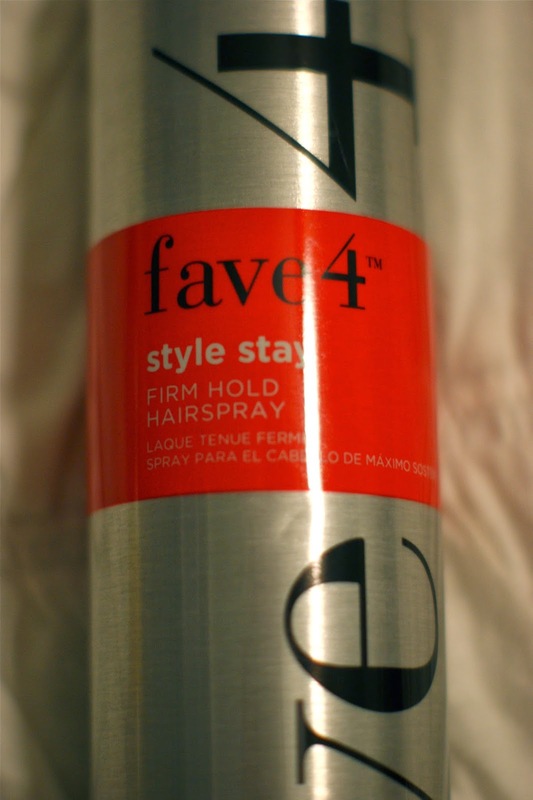 This particular hairspray was created for times when you need a strong hold. It is the perfect choice for up-do's as well as styles you need to last all night. This is probably the product I have used the least so far, but it did do an amazing job holding my hair together in a bun last week while on a double date with the Hubs, Rachel, and Fran. 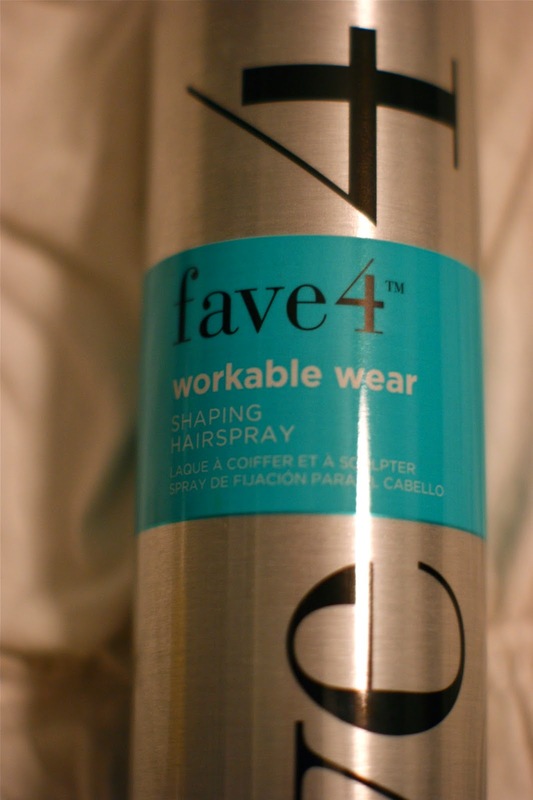 It also works extremely well for controlling my flyaways when I am sporting a pony tail or a braid. 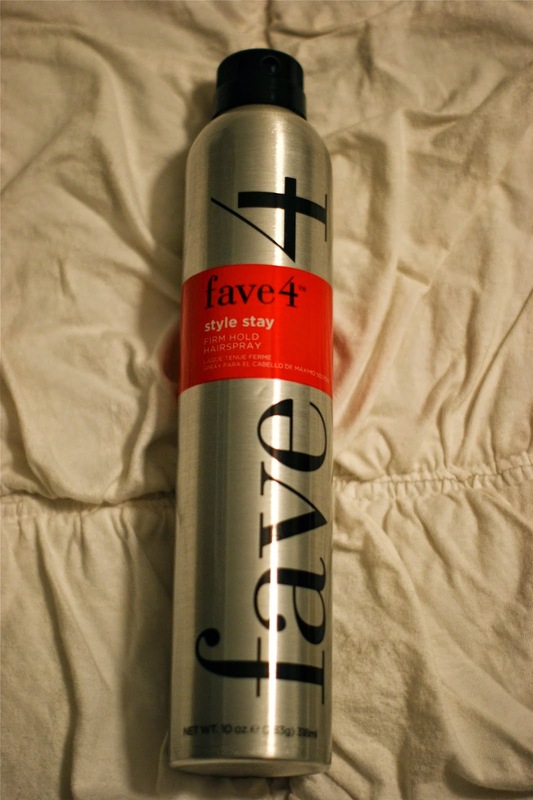 I love this hairspray for sleek, straight styles or loose flowey waves. It's weightless hold and light reflecting properties give you hair the most beautiful sheen and is the perfect finishing touch for any style. I use this more for the shine it adds to my hair then the hold, so I find myself layering this product with the Workable Wear and the Texture Takeover to add that extra oomph to my hairstyle. This may be my favorite of the bunch. If you hate that hard, crunchy feel traditional hairspray gives you, then this is the product for you! I would say this lives up to the hype as a workable hairspray because unlike most hair products, I can still run my fingers through my hair with ease. Workable Wear keeps my curls in tact all day, but also soft to the touch. It is my new go-to styling product and I am convinced my hair cannot live without it! This product is unlike anything I have ever used before, and it is one of my favorites of the fave4hair line. It is a combination hairspray and dry shampoo that gives your hair amazing texture and volume that you cannot usually get from a single product. I love using this when I tease my hair or whenever I want a messier look to my curls. Its also amazing to use on second day hair because it adds some volume you may have lost and takes away some of the oils from the roots. You can also use this product in damp hair before you blow dry for even more texture and volume. 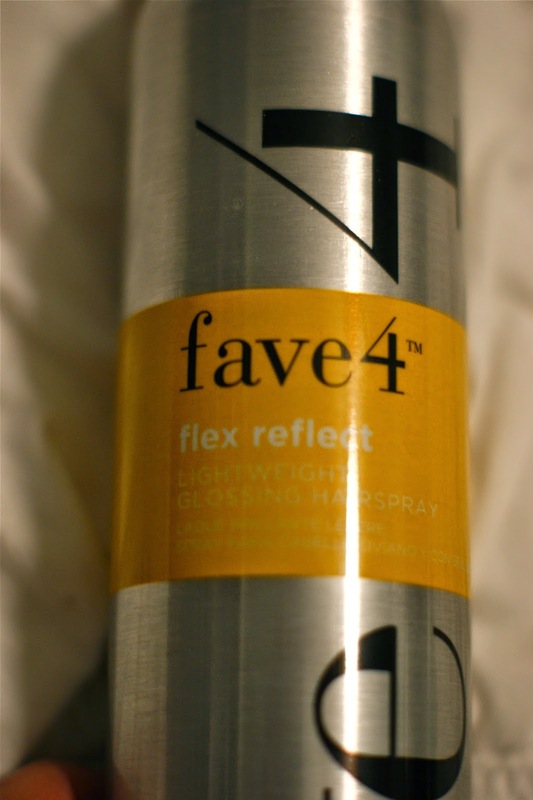 This is also a product I like to layer with Workable Wear and Flex Reflect because I think the products compliment each other well and keep my hair looking fresh all day. I cannot get enough of Texture Takeover! 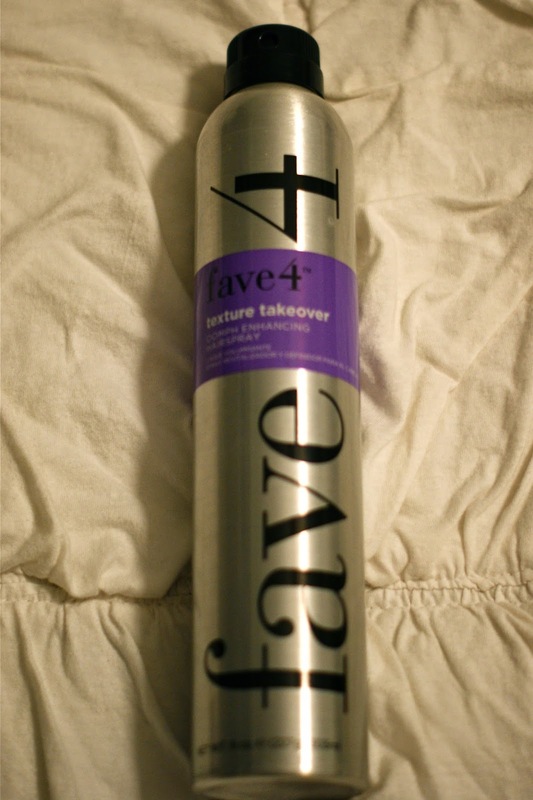 So the generous people at fave4hair wanted to give YOU (all my lovely readers) 25% off all of their products! How awesome is that ?!?! You can find them all HERE and be sure to use the code "Meggie25" at checkout for your discount! 4. leave a comment for all the steps you have completed, along with your favorite hairstyle! You will receive two points for every mandatory entry, and one point for every extra entry, so good luck!!!! I love to wear my hair up in a casual updo with tendrils on the sides. I like my hair down with heaps of volume! I like my hair down and wavy and big.